I don’t have a sweet tooth like many of my friends. That doesn’t mean I can’t relish an occasional sweet treat. When it comes to Pie, I like all sort of them, Apple Pie, Blueberry Pie, Banana Pie, and so on. People actually argue that Pie is a very wide category and even Tarts (like lemon tarts) and Indian Samosas can be considered as Pie. Pie is so popular in the world that there are references of Pie everywhere, including in the geek culture. For example, Google is so so obsessed with their love for Pie that they almost kept the codename for Android 4.4 as Key Lime Pie. However, they later settled on KitKat. Kie Lime Pie is a tasty dessert and a perfect pair for a hot cup of black coffee. Later looks like they understood the injustice done to Pie and finally kept the name of the last Android version, Android 9.0, as Android P. Here P stands for Pie. Scientists and Geeks just need a reason to associate everything with physics and mathematics. This means when they also add food to it, they don’t feel the guilt – all for the love of science. So March 14th is celebrated across the world as “Pi Day” as it falls on 14th day of the 3rd month. 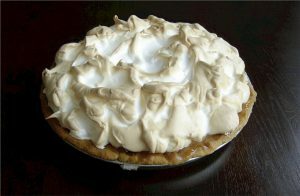 People all over the world celebrate this confluence of mathematics and dessert by appreciating Pi and eating a lot of Pies. There are actually many Pie eating competitions organised throughout the world on this day. Pi Day was an alien thing in India until recently. I now see that many companies are going overboard to celebrate. And employees are not complaining due to the copious amounts and varieties of Pie involved. The number π is a mathematical constant. 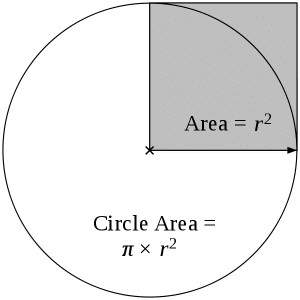 Originally defined as the ratio of a circle’s circumference to its diameter, it now has various equivalent definitions and appears in many formulas in all areas of mathematics and physics. It is approximately equal to 3.14159. 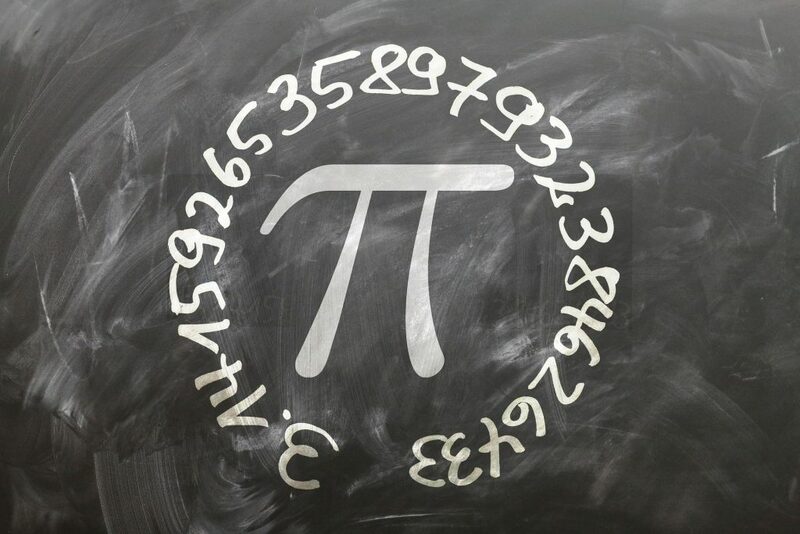 Pi plays a major role in mathematics and in everyday life. This includes direct formulae as well as formulae derived from Pi. These formulae are in1000s of numbers, touching many many branches of mathematics. Pi is not a toy. Then how can someone have fun with it? Let me give you an example. Suppose you want to order a pizza (who doesn’t love pizza). You have 2 options – either order 2 medium pizzas or 1 large pizza. What the pizza companies tell you is the diameter of the pizza, say 10 inches, 12 inches, 14 inches and so on. What does that tell you about the area of the pizza? (I’d not consider pizza having any thickness for this example). Nothing much. Does it mean that 12 inches pizza is 1.2 times of 10 inches one in area? Or 14 inches pizza is 1.4 times the 10 inches one in area? 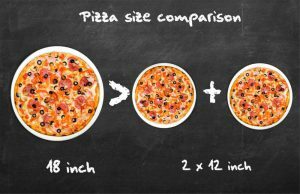 In reality, a 12 inch pizza has an area 1.4 times that of the area of a 10 inch pizza. A 14 inch pizza has 2.0 times the area of a 10 inch pizza. 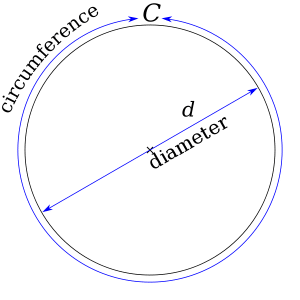 And always remember the formula to calculate the area when you are given the diameter of the circle or in this case the Pizza Pie. Here you have it. Now equipped with this simple formula and a calculator, you can make the best use of your money while ordering pizza. 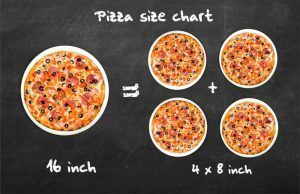 I found a nice calculator at Omni Calculator (www.omnicalculator.com/food/pizza#pizza-calculator-how-to-measure-value-for-money). This will give you the measurement in metres or feet based on the unit you used. Now we trust you are smart enough to convert this into kilometres per hour. Pi is more versatile than the versatility of potato in Indian dishes. Fun Exercise: Before even we say anything, can you try to find out the speed of a satellite or a spacecraft in the orbit around the Earth or any other planetary bodies? For example, International Space Station (ISS) flies in the orbit of average altitude of 408 km and takes 1.5 hours for every revolution around the orbit. Once you solve this problem, you will also be able to tell with accuracy where the ISS is at any point of time. We are not even using any formulae of trigonometry yet. Just knowing the basics about the circle can give a lot of information. Space research organisations like ISRO and NASA use Pi every day in all sort of complex calculations. They are dealing with not just the satellites around the Earth but satellites orbiting around Moon and Mars. NASA also deals with inter-planetary space crafts and space crafts orbiting around the planets or the moons of those planets. There are many such real world examples where Pi plays a major role. Even though in our daily life, we may not be able to see them clearly, they are all around us. If you love Pie, you can become a food connoisseur. On the other hand, love for Pi can make you a mathematician, astro physicist or a rocket scientist one day. You will probably appreciate with the examples given in this article that Pi is the basis of many complex calculations which are running this world. I’d leave this story here and expect you to explore on your own. And next time, don’t forget to eat a Pie or two on the Pi Day, that is March 14th, 2020. If you want to develop the love for Mathematics while having fun, look around for the practical use of simple building blocks of Mathematics. Pi is one such example; the world is ridden with such practical uses. Nishant is an Entrepreneur, Software Architect, Innovator and Inventor with 18+ years of experience working on EdTech, Cloud, and Virtualization, Software-Defined Network (SDN), Internet of Things (IoT) technologies, Machine Learning, security compliance, API Development, and Network Management Systems (NMS). He is the co-founder of “Tech Machinery and More Pvt. Ltd.” and Head of Technology at NumberNagar. He also works on few architectural consultancy projects in Cloud, Security, UX, IoT, and Machine Learning, with IEEE. Nishant has 4 patents granted and 7 patents filed/pending with US Patent Office and India Patent Office in the areas of Network Management Systems, Cloud, Virtualization, SDN Technologies, Security, and Anti-Counterfeiting technologies. He participates actively in User Experience (UX) and Wireframing related activities. His areas of interest include Cloud and Virtualization, Machine Learning, IoT, UX, User Interfaces, Network Security, Ethical Hacking, Cryptography, Anti-Counterfeiting technologies, public speaking and latest tech and gadgets. He is an active member and contributor to numerous technical meetups. He is also a contributor to IEEE conferences and IEEE standards (P1931.1, P1451-99), and member of subcommittees and working groups working on defining standards for IoT and Smart Cities. He has a Master of Science (MS) in Software Engineering degree from BITS, Pilani, along with many technical certifications. Keep watching this space for more such article to explain mathematical and science concepts in a fun way. 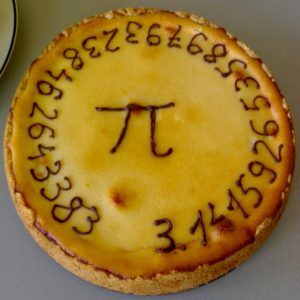 Creative and gourmet way of exploring Pi(e). Good one Nishant! Beautiful demonstration Nishant Ji. Keep it up! This perspective was interesting enough to hold my attention for long on the topic. Well written Nishant, hoping to see more from your pen!! These are very encouraging words. We are focused to write such articles in the future which can present concepts from mathematics and science in simpler terms. Surely you love your Pies .. but Samosa is not loved for what’s inside but mostly for its shape .. a Pie shape reduces its conical edges which contains the fried corners loved by most .. the only consistency all samosa shops maintain to get our attention! Insides is always creativity .. put ‘whatever’ ingredient .. aloo, paneer, .. or you may put meat for your love of pie! Overall nice article by a Pie lover for a wannabe Pi lover! Really liked your perspective. Our idea is to use real-world objects as examples to encourage kids to learn mathematics. This all while having a lot of fun. Keep watching this space for more such articles. Very engaging and relatable write up on a presumably complicated concept. This is the first of the series of blogs I’ll write this year to bring fun elements in Mathematics and Science and make them approachable to all. Next Next post: Context! Context! Context!